Many things come in a package of four! 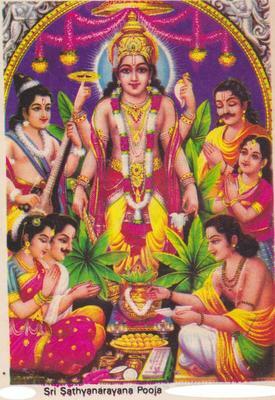 Yugas are: Kritha, Thretha, Dwapara and Kali. Varna ashram dharma has four divisions: Brahmana, Kshatriya, Vaishya, and Sudra. The four Purusharthas: Dharma, Artha, Kama and Moksha. Human life comprises of four stages: Brahmacharya, Grihastha, Vanaprastha, and Sanyasa. Dharma dictates that we perform some specific duties at each stage. My Brahmacharya stage, i.e. student stage was judiciously spent in getting myself educated and picking up skills for the future. As a grihastha, I had to adapt to a modern life style in my family and profession. Both sucked me in to a rat race and kept me awfully busy. I belong to Hindu-Bramahana Varna. Incidentally, I have become a teacher. As a teacher I am used to four grades of appraisal: Outstanding, very good, satisfactory and bad. I once did a self-appraisal of my past activities. The results oscillated between “Very good and satisfactory”. While I was pleased, that I had not fared badly, I noted, that my performance was never outstanding. I have stepped into the third stage of life. The hustle bustle of modern life had consumed my energy till today. I hardly had time to look back. Now in retrospect, I am consciously introspecting the omissions and commissions of my past deeds, accepted by my family and friends out of blind love or high tolerance quotient. While I was taking a sneak peek at the past, there appeared many phases, facets, layers, and issues, which gave me a kaleidoscopic view of my life. It was colorful, but characteristically the views changed or blurred repeatedly, until I focused on God and my relationship with Him. Then all other thoughts disappeared from my mind. Only He and my interactions with Him gained my primary focus. During my childhood, the only connect with God was my grandma’s tales from Mythology. I was taught to recite “Karagre vasathe Lakshmi, karamadhye Saraswathi….”and get up and “Ramaskandam, Hanumantham, Vainatheyam …..” before going to bed. The recitations of Suprabhatams and the Sahasranamams, which I heard at home, did not bring me anywhere close to Him. The tales of gods narrated to me were in a way lullabies to me. Later, reading anecdotes in Chandamama, at bedtime, was for time pass. It became a habit. As a child I could not perceive Him in any particular form. It was at best the first word I thought of, in word building. G for God! How naïve I was! 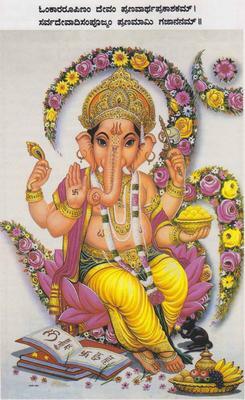 As an adolescent I could perceive God, in a couple of forms, as Vidya Ganapathi or as Goddess Saraswathi. I thought of them during the fag end of the semester, especially when my preparations for my exams, were alarmingly poor! By the way, I also performed Saraswathi pooja with my siblings, on the 8th or 9th day of Dussera festival, by keeping my textbooks in the God’s room. My geometry box was kept on the top, like a paperweight. I used to be promoted to the next class by Ganapathi’s or Saraswathi’s grace. Offering my prayers to them was like an antibiotic for my examination fear. I made it a habit. Did I take their grace for granted? Not quite. It was a give–and-take act. I gave Him couple of coconuts or inserted a Rupee or two in a Hundi in a temple and took his blessings. I attended a discourse ages ago by a brilliant orator on the subject “Hari Om”. As soon as it was over, I said to my freinds, “Let us hurry home.” The divine aroma of the Chandan sticks followed me till I reached home and that was it. How could I be so frivolous in my attitude? By the way, I invariably visited a particular Ganesha temple, before every travel of consequence, to ensure that it was obstacle free. I was a creature of habit. During Grihasthaashrama, I treated Him like an event manager for crisis management in the family or in my career. Whenever any threat of calamity loomed large over me, I located a fast track, to bring him close to me to let Him undertake relief operations to protect me. Some priests enlightened me, that God manifested himself in various forms and each one has a portfolio. 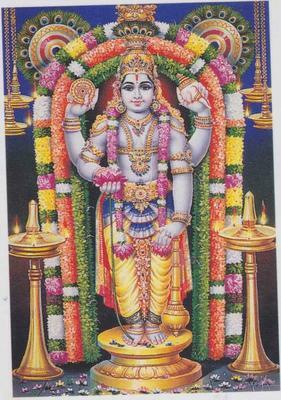 Hence He appeared before me like Lord Sathyanarayana or Lord Shanmuga, to help me bear my burden, at the time of dire need or at times of distress. I considered gods, as de-stressing agents and invited them to my house for pujas, as if they were at my beck and call. As soon as I stepped out of danger zone, and my life was running smoothly again, like a well-lubricated automobile on an Autobahn, I was my usual self, having magnificent control of the steering wheel and the accelerator. While on water, I was the one who swam against currents and reached the shore, without letting undercurrents overpower me. God took a back seat. Out of sight out of mind! Celestial connectivity was not on my priority list. with Him. I allocate more time for Him. I have sharpened my senses to look around, see, observe, hear and overhear, how others approach Him and appease Him. In my family circles some go to Thirupathi, climbing the seven hills by foot. They are there on every New Year day, to get the blessings of Lord Balaji for the entire year. For another group, their presence there during Brahmothsav is a must. I wonder how they manage these travel commitments, along with their family and professional one’s. Unfathomable. The favorite pilgrim destination of a few of my former colleagues is Sabarimalai. Before setting out, they observe a stringent diet, they fast and wear the prescribed attire for forty-eight days. They reach the Malai, trekking bare foot 12 to 15 K.M. on uneven terrain, chanting Swamiye Saranam Ayyappa, without apprehensions of inclement weather, to watch the Jyothi in the sky every January. Commendable indeed! Devotees perform Giri pradakshina of Thiruvannamalai hills and carry Kavadi to Murugan temples. I hear that some walk on hot charcoal on particular days. What type of endurance tests do they go through regularly, to feel fit for such feats? Mind blowing! The geographical directions are mainly four: North, West, East and South. Devotees travel in all these four directions for temple visits. My walking-group friends have gone to Char Dham: Badarinath, Dwarka, Jagannath Puri and Rameshwaram. A couple of them have covered Chota Char Dham too, under which fall: Yamunotri, Gangotri, Kedarnath and Badarinath also. Reaching a couple of temples necessitates commuting on a mule on a narrow path; mountain one side, valley on the other with the possibility of land slides anytime anywhere. Either I become breathless or my knees buckle if I imagine going to such places. I have met people, who have taken dips in the four holy rivers, Yamuna, Narmada, Ganga and Cauvery, to cleanse their sins, sometimes of their previous births. Some devout Hindus take vows to bathe in the Triveni Sangam or Prayag at Allahabad and in Kaleshwaram in Dakshina Triveni Sangamam. Some plan to visit the 12 Jyothirlingams and Devi temples, all over India. Remarkable! A few acquaintances of mine have visited over a period of time all the 108(-2, which are out of reach) Divya Deshams i.e Vishnu temples, located in various parts of India. May be I can venture a virtual tour of them and their Gopurams on Google. My close friend has participated in the Kumbamela festival three times, braving possible stampedes. Salute! There are four paths of Yoga to connect our body, mind and soul: Gnana Yoga, Bhakti Yoga, Karma Yoga, and Raja Yoga. There again I a stand at an intersection ignorant of which path to take. Shankaracharya, Madwacharya, Ramanujacharya and Raghavendra are four God-sent saints on earth. Whenever I hear about their convictions, I get nonplussed and I cannot decide, which religious school of thought I should follow: Dwaitha, Adwaitha, Vishishtadwaitha or just accept one Guru and follow his tenets. Annamacharya’s passion towards Lord Srinivasa, Thyagaraja’s reverence towards Lord Rama, Purandara Dasa’s loyalty to Vittala and Kanakadasa’s surrender to Adikeshava amaze me. Only with immense faith in their hearts and with music as their strength, these four giants fought against rulers, kings or Matadhipathis enduring physical and mental torture. When I hear their compositions, I am moved to tears. Andal, Radha, Meera and Akkamahadevi wanted to merge with God. Notwithstanding the troubles and turmoils they had to face in their families and societies, they achieved their goal and emerged as stars in heaven. From time immemorial people have mentioned, read, written and discoursed about all of them! There are 108 days puja, 48 days Mandala puja, 21 days puja, and 7 days of Bhagavat Saptah. Which one can I perform? I am clueless. 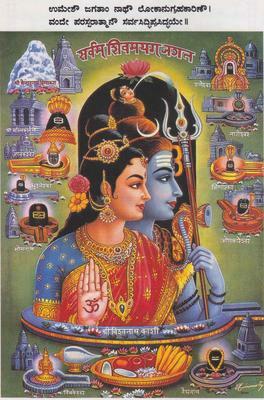 There are mainly four Beeja Manthras: Eka Beeja (Pranava/Aum), Panchakshari, Ashtakshari and Shiva Shadakshari Manthra. Which one should I learn and recite? How do I bond with him better? Only bonding with Him can give me the security to spend time I have left on this planet. I have not invested in any other Bonds and securities, to deal with my future mundane needs. I have to surrender to Him and ask Him to show me a path and shed light on it. Oh Lord! End of the day, I find myself at crossroads, and I feel like a lost child. I am shrinking; my Ego is shrinking. I want to experience role reversal. I will take away my teacher’s robe. I wish to don the robes of a disciple- yours. Would you accept me? Would you treat me as your friend? Would you become my philosopher and guide? I now need you more than ever. Lead kindly light. The line takes me back to my student days and English classes. My teacher had narrated the three verses of the poem "The Pillar of Cloud" by John Henry Newman written in the year 1833. Later Edward H. Bickersteth, Jr. added a fourth verse making it a package of four. OMG, Incredible! Isn’t it? Pushpa, wonderful writing! I liked your mini Harikathe. You are not alone in getting sucked into the vortex of this dimensionless topic-you have expressed yourself effectively. I admit I am not tuned to this divine frequency. I believe in one simple thing: I want to be a good human being & i don't load my head with something far far beyond my reach. I do appreciate your style. Nice read Pushpa! :) I was taught that if the God in oneself is felt and revered, there is no need to look elsewhere! Please leave your name while commenting. Thanks.